Construction of the 32 turbine Bhlaraidh project, located on the Glenmoriston Estate north-west of Invermoriston in the Great Glen, is expected to bring significant local benefits to the Great Glen area including direct and in-direct employment and a total community fund worth £160,000 per annum. The event will provide attendees with further information on the types of opportunities that may arise for local businesses through the construction of the project. Representatives from SSE’s Renewables, our principal contractor RJ McLeod and SSE’s Open4Business team will be on hand to answer any questions on the day. Businesses of all kinds are encouraged to attend, from accommodation suppliers to local tradesmen, to find out about contracts that may arise throughout construction. If you have any questions or would like further information on the event, please call me on 0141 224 7569 or email: kirstanne.land@sse.com. Further information on the Bhlaraidh project can be found at: www.sse.com/bhlaraidh. For further information on SSE’s Open4Business online procurement portal please visit: www.sseopen4business-highlands.com. New site where you can buy, sell, recycle or give it away. 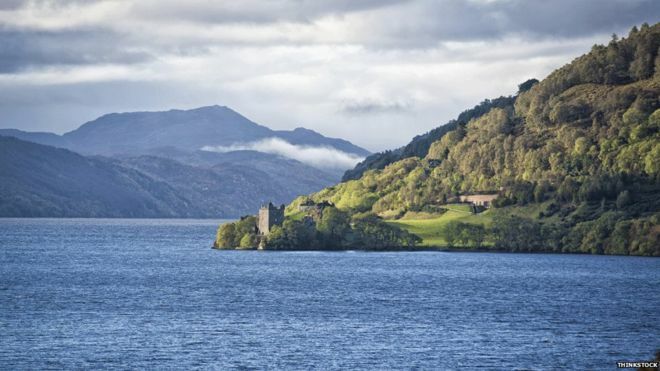 Welcome to Around Loch Ness classified ads. We aim to encourage local recycling and reuse of resources to help cut down on landfill. You have to register to place an ad. Free Office Equipment to a good cause? One of our site offices is closing and there is quality office furniture being made available. Perhaps you know of a new charity that’s setting up a new office, a small business that needs some new furniture or community projects that might benefit? This opportunity would really would be an instant office for free. The equipment would need to be removed reasonably quickly (by 24th September), preferably picked up by the new owner. Quantity/description below. The office is at Dores road. A new competition inspired by the Swedish sport of swimrun will be held in the Highlands this month. In Sweden, the event involves swimming between islands and running across them. Loch Gu Loch Swimrun Scotland will ask competitors to complete 13 swims and seven runs in and around the Great Glen on 26 September. The swims will be done on five lochs – Ness, Duntelchaig, Ceo Glais, Mhor and Tarff. The finish line will be in Fort Augustus on Loch Ness. In total, the entrants will be expected to complete 8k of swimming and 47k of running. 16 and 17 year olds register to vote! Your chance to vote, 16 and 17 year olds register now for the upcoming local Community Council elections! You can even nominate yourself to be a Community Councillor Fill in this form so that you can cast your vote! Alzheimer Scotland Memory Walk 2014 Information Sheet Hello and a warm welcome to the Alzheimer Scotland 2015 Inverness Memory Walk! The idea behind this event is for families to come together and make memories with their loved ones, while raising funds to support the work of Alzheimer Scotland. On the evening of Friday 11th September for the weekend, Neil Fergusson (Local Plant Contractor) has been contracted by Glenlia Residents Community Association to repair the second half of the Genlia back track from Glenlila garages to Fechlin House. The track will not be accessible during this time. It is with huge thanks to the generosity of RJMcleod for supplying us through Willie Fraser(local contractor) a staggering total of 80 tonnes of Type 1 scalping’s that this project can finally be completed. We apologise for any inconvenience this may cause but trust you will all agree it is a job in need of doing prior to the winter weather and will be of great benefit to all who use it. Marathon on Sunday 27th September. Any other volunteers would be most welcome at the various water and energy stations along the way from Whitebridge to Inverfarigag. please contact Paula at gpwombles35@aol.com by Thursday 3rd September if you are able to help.